Japanese Water-based Woodcut Printmaking (Mokuhanga) 3 night/4 day residential course. Over the course of 4 days (Monday August 19th at 3pm - Thursday 22nd August at 3pm 2019) you are invited to join me on retreat at the stunning TILTON HOUSE nestled in the beautiful Sussex Downs just 90 minutes south of London in the former home of Maynard Keynes. ‘Enjoy the awe-inspiring landscape, either fireside through the arched window in the library or breathing in the wide skies and sea air up on the Tor grassland. Firle Beacon is one of the highest points on the South Downs and rolls back to the track from the door. Its no coincidence that Virginia Woolf, Maynard Keynes, T.S.Elliot and other visionaries took their inspiration from wandering the wild ancient landscape to escape, muse and reflect. Dowsers tell us that ley lines run through the grounds and house, but simply taking in the botanical joys will raise the spirits. During your retreat, you will have the chance to enjoy the locale outside of your practice, either by relaxing in a hammock, walking the Downs, visiting Charleston, enjoying a holistic massage or unwinding in the cedar wood sauna. 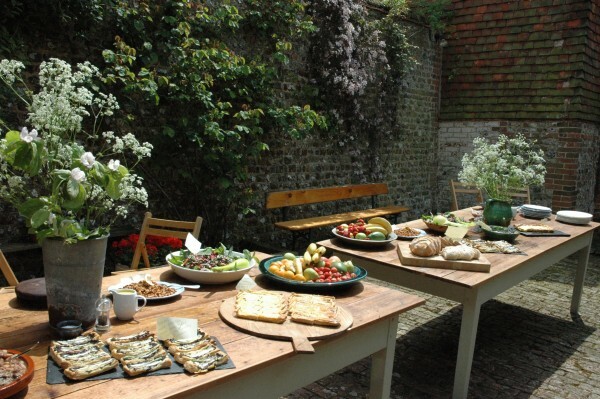 Within 90 minutes of London, you could be feasting on delicious clean food for supper, foraged from Tilton Wood or grown on-site in our kitchen garden and orchard.Menus are designed and chosen by our team of epicureans to thrill your palate and boost your energy.’ -Tilton House. For more details and early bird bookings please contact me directly at: lucymayschofield@hotmail.com.